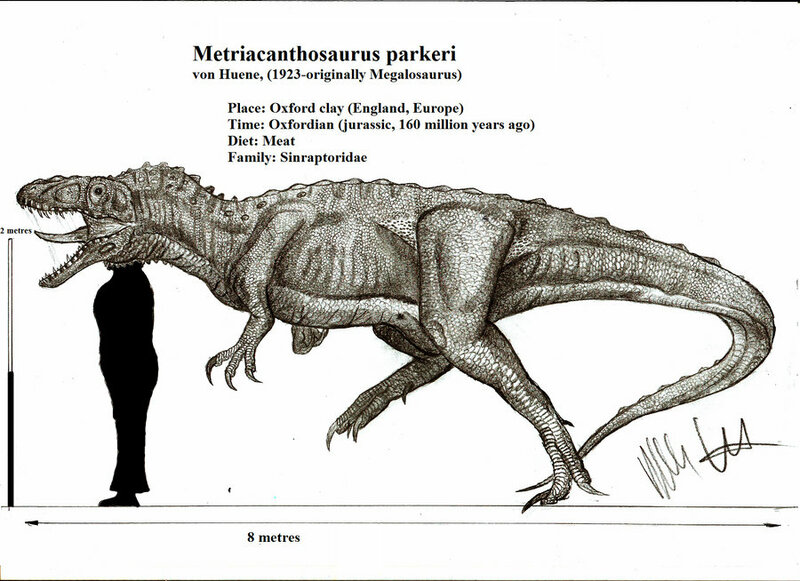 Metriacanthosaurus was a carnivore which was around 24 feet long, 12 feet high and weighed around a ton. 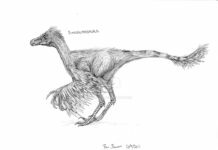 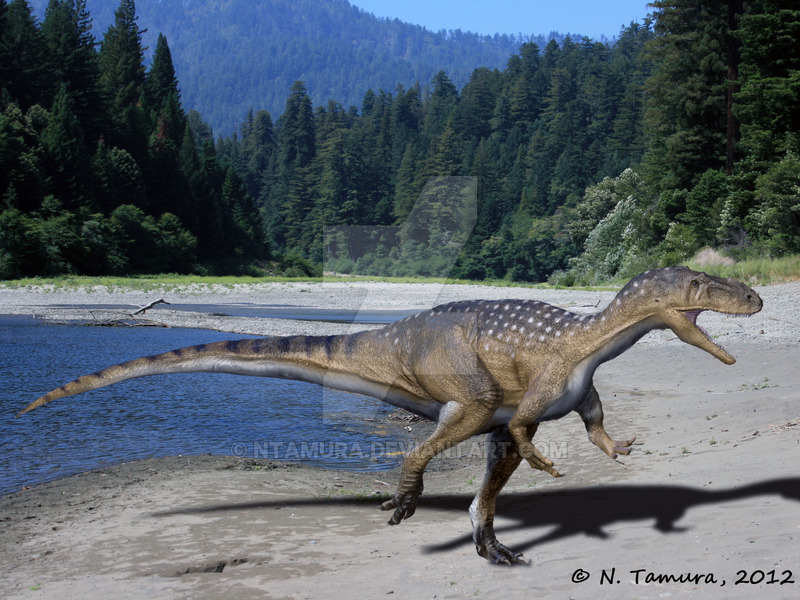 It is a medium size therapod that was very similar to the Tyrannosaurus Rex. 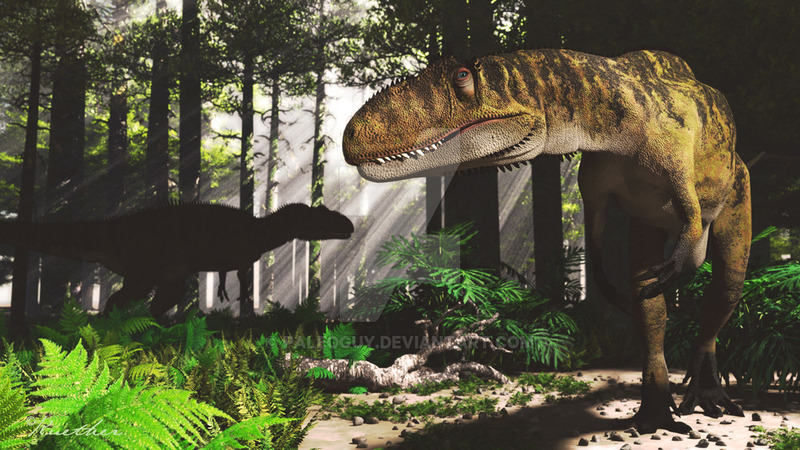 It was about as tall and weighed about the same, but the T- Rex was a little bit longer. 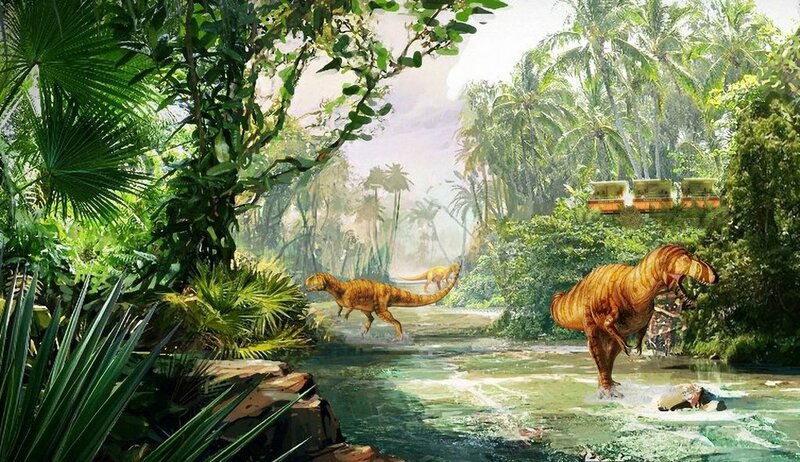 Therefore, it is pretty safe to assume that these two dinosaurs behaved in much the same way. 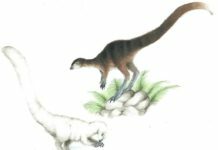 They both probably hunted herbivores and could run at a brisk speed of around 15-20 miles per hour. 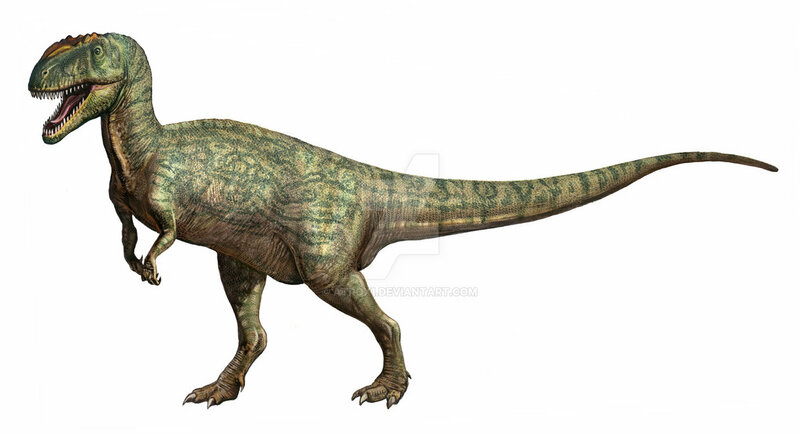 An interesting fact about Metriacanthosaurus is that it gets its name from its distinctly shaped vertebrae. 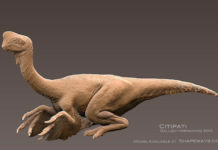 Some paleontologists have speculated that these vertebrae may have had a skin sail attached to it. 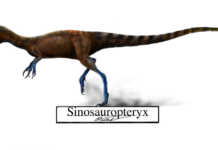 If it did, then this skin sail would probably have been used to help this dinosaur maintain its body temperature. 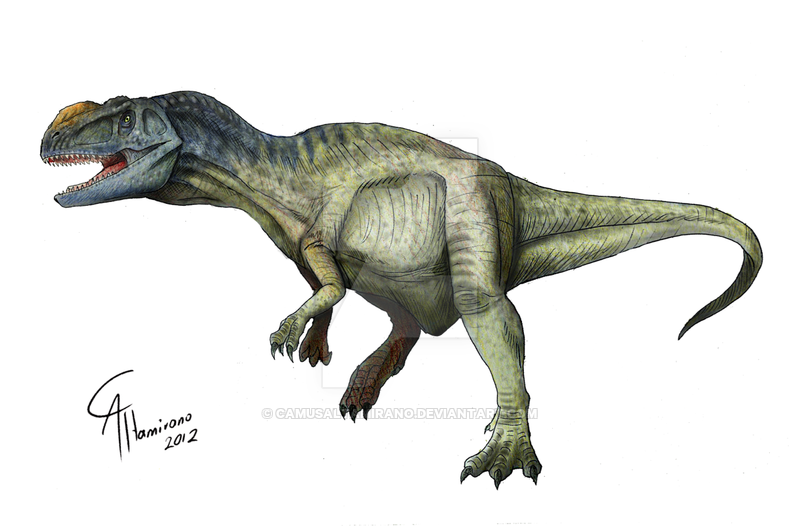 Metriacanthosaurus was a carnivore so it probably hunted some of the top herbivores of the day. 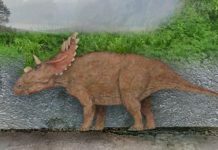 These may have included Ankylosaurs and Callovosaurus. 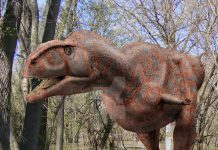 Judging from the size of these dinosaurs, it probably would have had to eat about 100 pounds of meat a day just to survive.